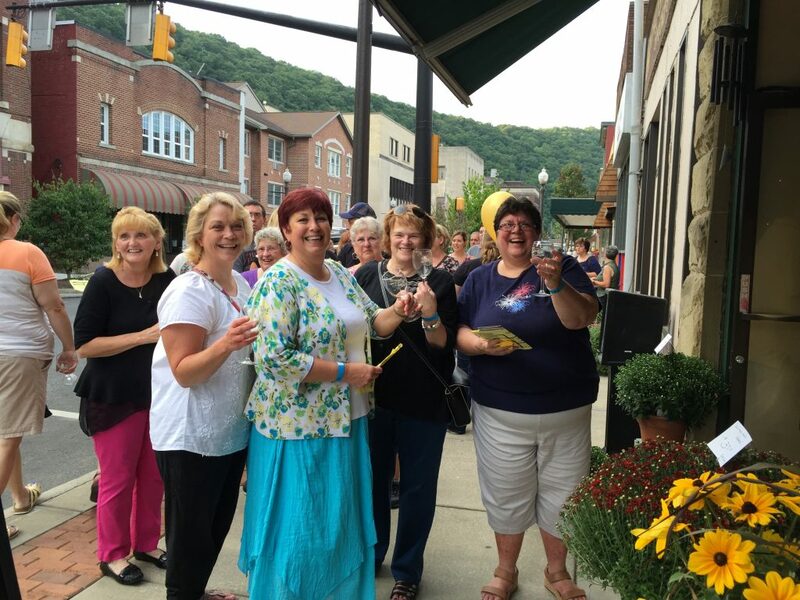 Empty Bowls is a night where 10 local Restaurants, 4 School Districts and over 350 individuals come together to support our two food pantries and to bring awareness to the amount of hunger that we see here in Venango County. Our event will feature 10 local restaurants serving a meal of delicious, homemade soup and bread. In addition, every person that attends will receive a handcrafted “Empty Bowl” made by local students from the art classes of our school districts in order to remember there are empty bowls in our community. 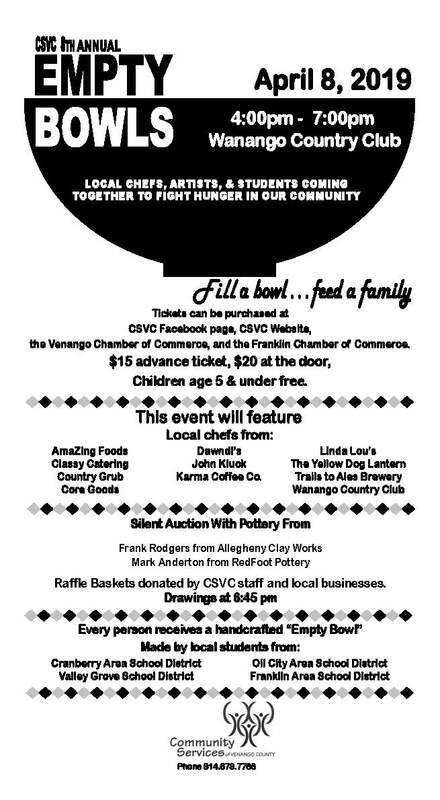 Raffle Baskets with items donated by community businesses and CSVC will be auctioned off along with a silent auction of handmade pottery from local artists. Tickets are only $15 if purchased in advance of the event or $20 at the door. 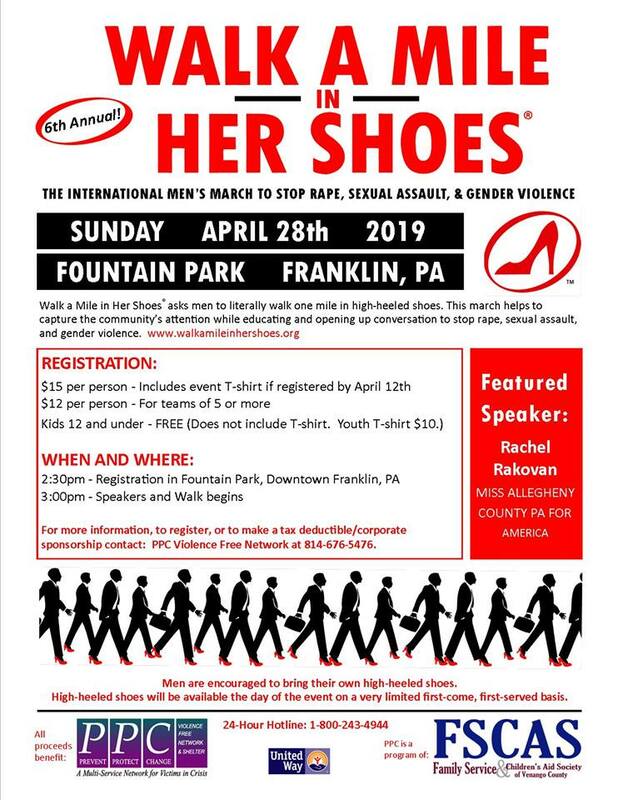 Tickets can be purchased online at through a link on our Website: https://csvenango.com/ ,through the CSVC Facebook page , at the Franklin Area Chamber of Commerce, at the Venango Area Chamber of Commerce, at the CSVC offices at the Transit Building, any CSVC staff member OR at the door that evening! Children 5 and under are free. 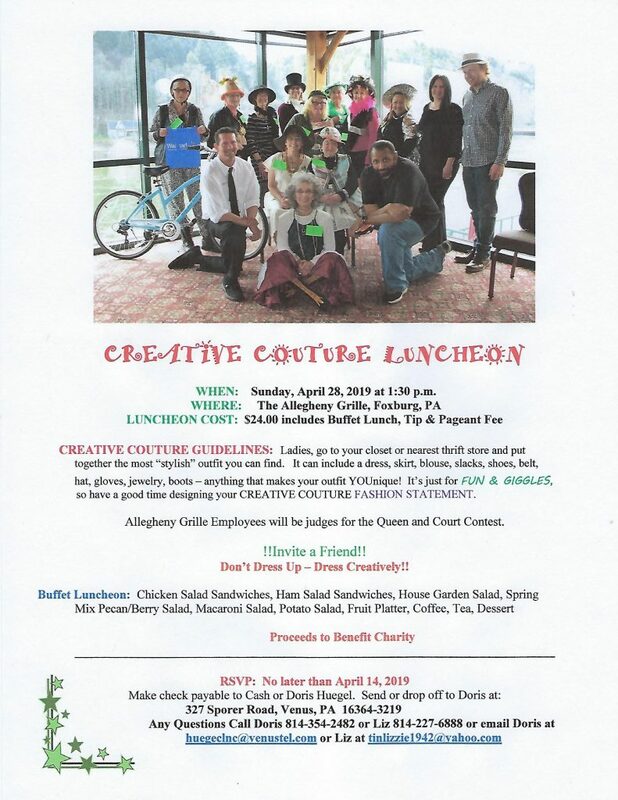 The event is also highlighted by a silent art auction and many amazing large basket raffles.